1. Join our Facebook Group: "Lindy by the Heart"
We collected a mountain blankets, towels, doggie toys, and money for Operation Blankets of Love. Our annual holiday fun-raiser: Raised funds for the Good Sheperd Shelter for Battered Wommen & Children. We raised $30,333.44, through fifteen Lindy Hop Haiti Fundraisers around the globe - benefiting Haitian earthquake Victims through Doctors Without Borders. Raised funds for the Good Sheperd Shelter for Battered Wommen & Children. Pops Walsh, one of our favorite singers, got struck with financial and medical problems overwhelming him and his wife. 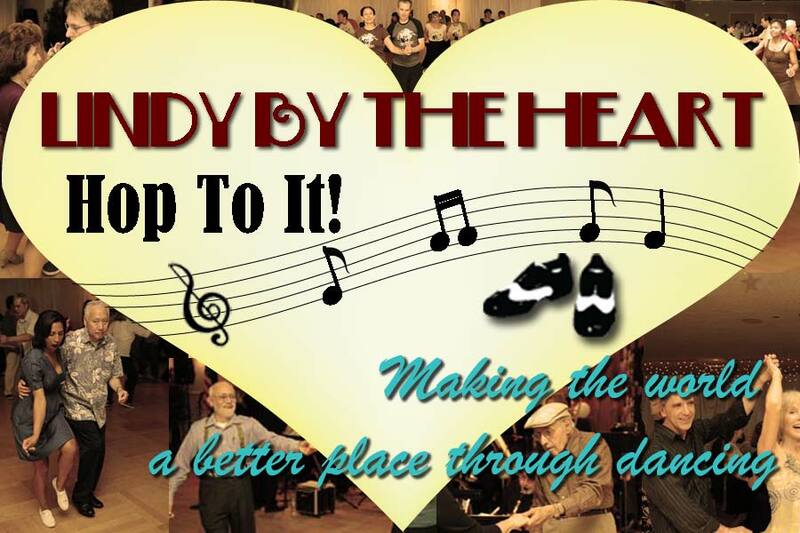 This dancers' fundraising effort helped legendary tap dancer Fayard Nicholas, of The Nicholas Brothers. Hurricane Katrina hit New Orleans, the birthplace of Jazz, one month later, we held a dance at Rusty's Rhythm club and raised $7,000 for the American Red Cross. We raised $4,000 for the American Red Cross' work at Rusty's Rhythm Club. 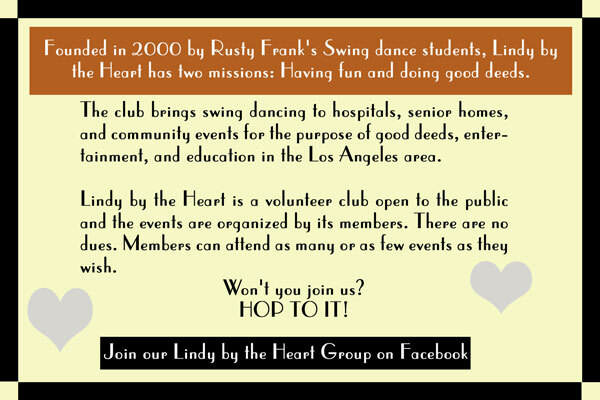 Read about how we brought over a Russian Lindy Hopper for a two-week dancin' trip to L.A.